"Love thy neighbor" is an impossible exhortation. Good neighbors greet us on the street and do small favors, but neighbors also startle us with sounds at night and unleash their demons on us, they monitor and reproach us, and betray us to authorities. The moral principles prescribed for friendship, civil society, and democratic public life apply imperfectly to life around home, where we interact day to day without the formal institutions, rules of conduct, and means of enforcement that guide us in other settings. 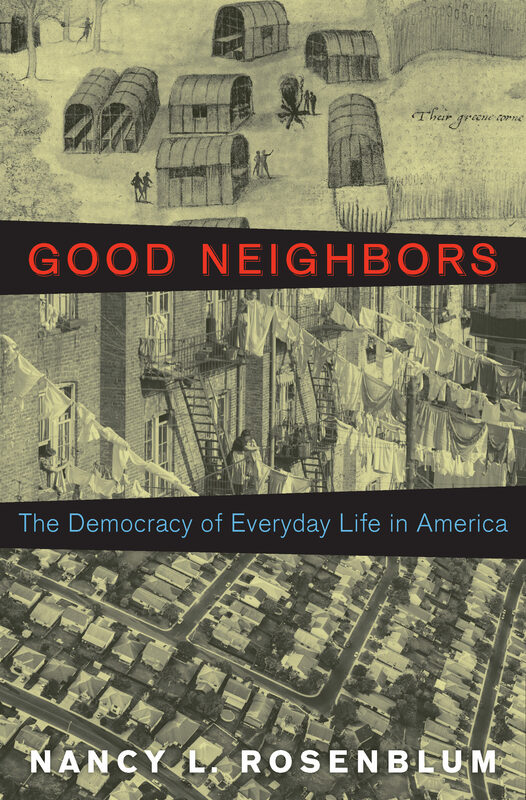 In Good Neighbors, Nancy Rosenblum explores how encounters among neighbors create a democracy of everyday life, which has been with us since the beginning of American history and is expressed in settler, immigrant, and suburban narratives and in novels, poetry, and popular culture. During disasters, like Hurricane Katrina, the democracy of everyday life is a resource for neighbors who improvise rescue and care. Degraded, this framework can give way to betrayal by neighbors, as faced by the Japanese Americans interned during World War II, or to terrible violence such as the lynching of African Americans. Under extreme conditions the barest act of neighborliness is a bulwark against total ethical breakdown. The elements of the democracy of everyday life&#8212;reciprocity, speaking out, and "live and let live"&#8212;comprise a democratic ideal not reducible to public principles of justice or civic virtue, but it is no less important. The democracy of everyday life, Rosenblum argues, is the deep substrate of democracy in America and can be its saving remnant. Otros ebooks de Nancy L. Rosenblum.